Engine Company 290 was orgainzed October 1,1915. 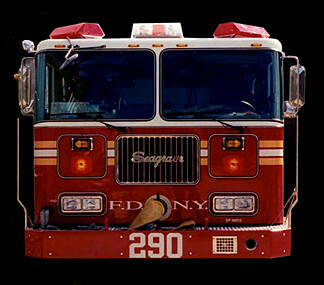 In my opinion, Engine 290 is one of the best Engine Companies in the world. I never hesitated to go above them in a fire when I was assigned to Ladder 103. 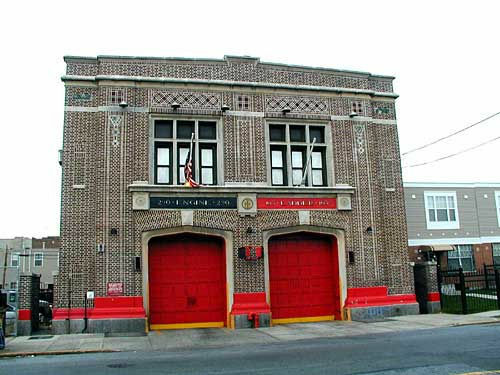 Note: Ladder 145 and Engine 296 were to go into service at 480 Sheffield Ave.
Brooklyn. 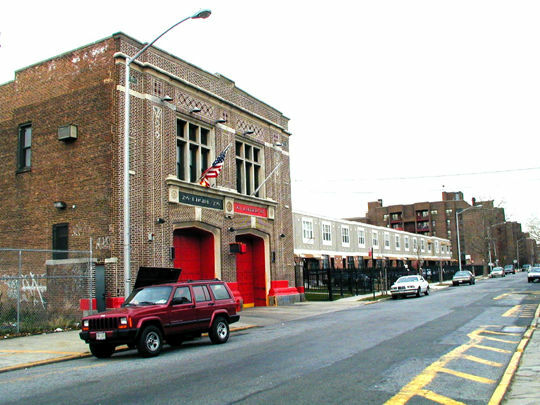 Engine 296 went to Queens and Ladder 145 was never organized. 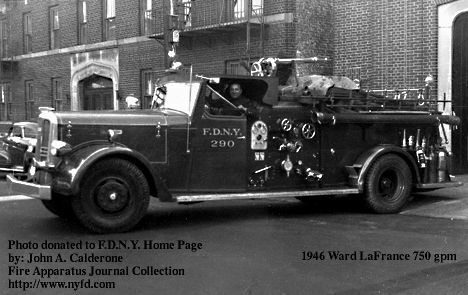 In the original 1915 photo of Engine 290 in front of quartes, above the doors you can see "Engine 296 and Ladder 145"
Engine Company 290 showing off its 1915 Ahrens-Fox 700 gpm 6 cylinder pumper in front of quarters, 480 Sheffield Avenue. The same building is still there today.